The Chris Reeve Nyala is a drop point fixed blade knife for the hunter, bushcrafter, outdoorsman, and fisherman - long drop point blade of razor sharp S35VN steel with a stonewashed finish that resists the elements and staining. At the heart of this knife is the American-made S35VN stainless steel with a Rockwell hardness of 58-59 - heat treated to keep an edge while in the field. Chris Reeve consulted with Crucible Metals when developing this high-quality steel alloy. 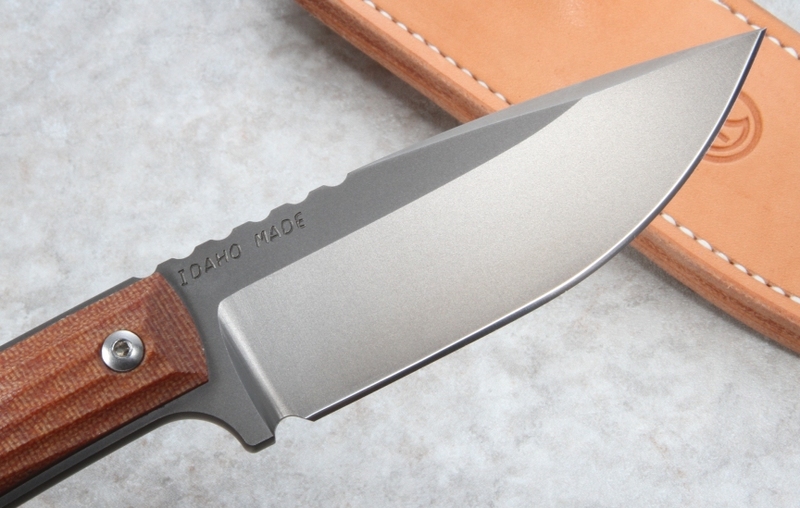 The full tang knife has a solid handle of 3d machined brown canvas micarta. The 3d machined groves provide an extremely positive grip for working in the elements. The tang is also rounded to make the knife comfortable in the hand. The Chris Reeve hunting knife comes with a black lanyard to secure the knife while in your hand and to prevent loss and accidental drops. The tang has jimping groves on the handle and blade spine for increased handling and thumb placement. The blade's deep choil helps prevent your index finger from moving towards the edge while using the knife. Nyala (pronounced Nn-yaal-a) is the Zulu word for a particular Southern African antelope found in densely forested areas. The Chris Reeve Nyala knife sheath is high-quality USA-made natural brown leather pouch sheath with belt loop made by Gfeller Casemakers of Meridian, Idaho. 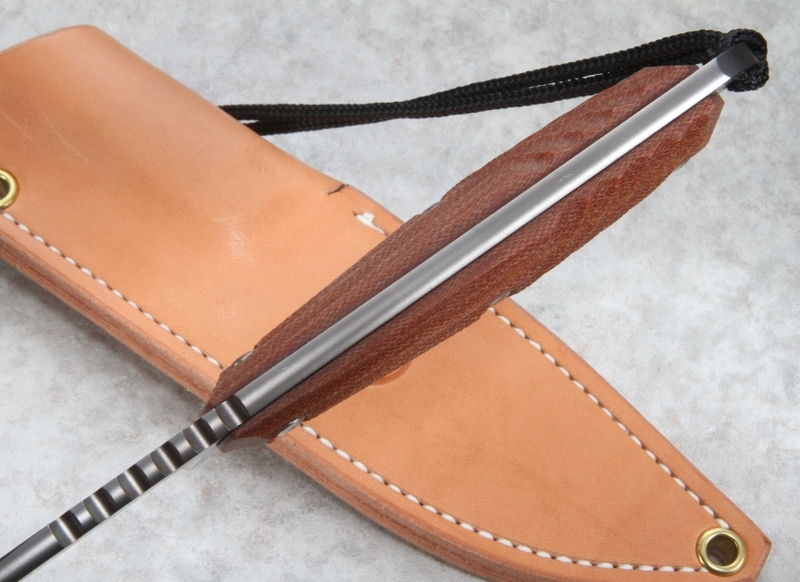 The sheath is designed for vertical belt carry. 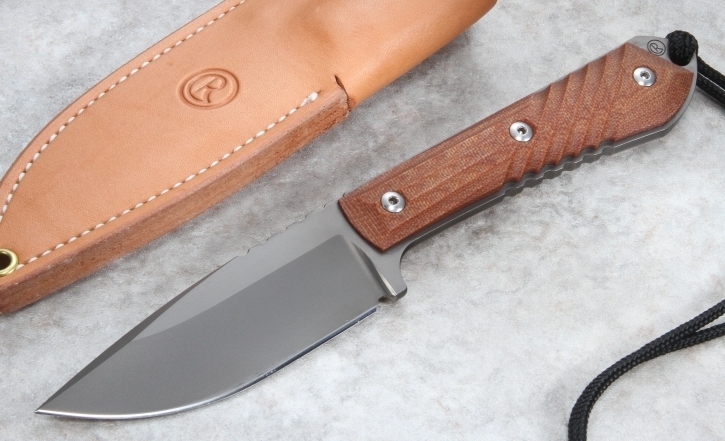 The Nyala fixed blade knife is marked with the CRK logo and 'Idaho Made' on the blade tang. 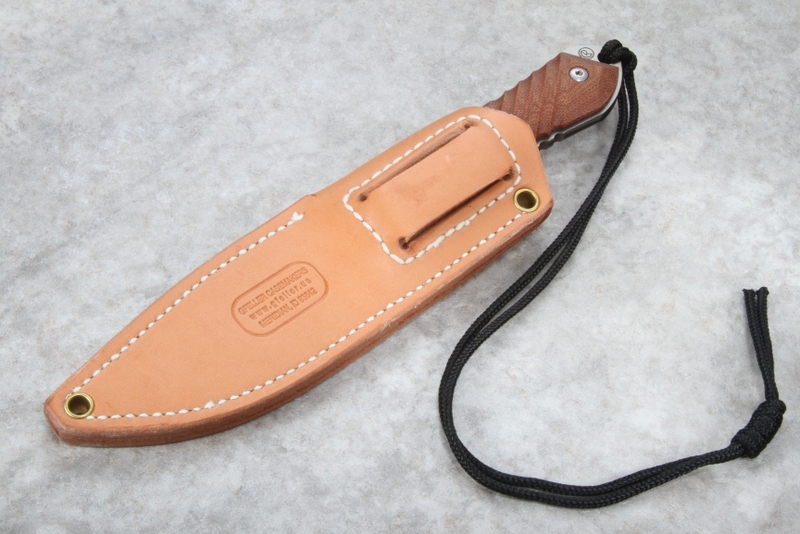 SHEATH: Brown high-quality leather sheath with belt loop by Gfeller Casemakers USA. Larry and Rodney do an excellent job of customer service, answer questions thoroughly and are very efficient. My knife was mailed the day it was ordered and I received it on the second day. composition of the blade I'm optimistic that this is a knife of considerable merit. If you are looking for a knife with notable all around utility the Nyala Bushcraft is worthy of serious consideration. Very glad to see the stonewash finish return. The Nyala is just the right size for many typical uses. The micarta scales provide good grip and the jimping is sized to work with bare hands or gloves. Another great purchase from Knife Art- these were hard to find but they have them and shipped same day! I am very impressed with this knife. Top grade steel and excellent balance; I love the grip and traction afforded by the sculpted micarta handles and the jimping on the bottom of the tang as well as the back of the blade. I have a number of great sheath knives for different purposes, but this strikes me as a knife that will do almost everything exceptionally well. If you want/need just one camp/bush/hunting knife (who would want only one? ), the classic Nyala is a serious contender. This is a Christmas gift that was purchased for my son. It is an extremely well made knife. Very pleased with the quality. Nice knife well made high quality very fine appearance and feel great in my hand. Knife Art has great prices on very fine knives. 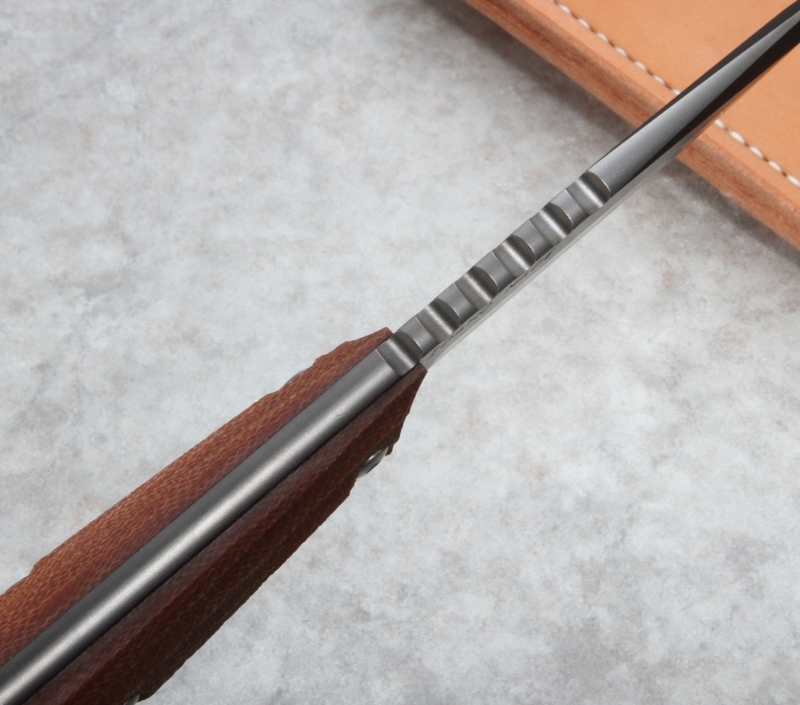 The CR Nyala is no exception, a well balanced functional tool. This is my second CR knife, one large folder and the fixed blade Nyala. What more do you need? But there is always the want for more. So I still review Knife Art's site at least 3 times a week. The design and quality is nothing but excellent. I have a small Sebenza Insingo as my all purpose knife. 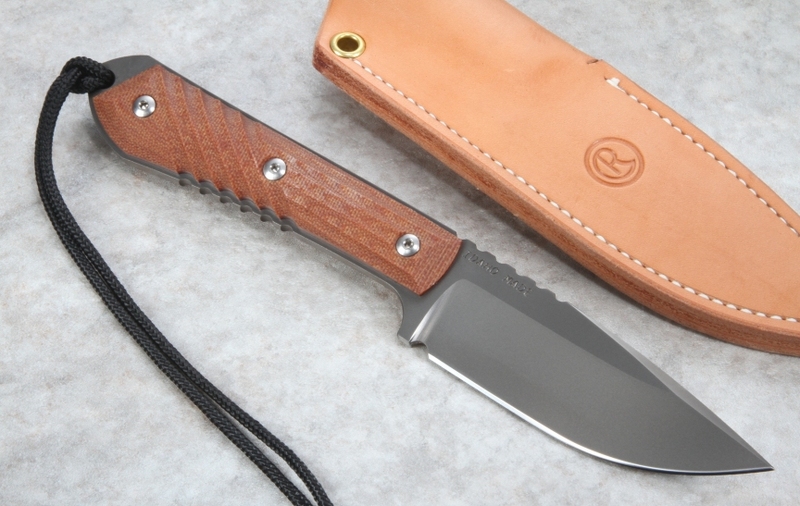 The Nyala is the perfect larger fixed blade companion for weekend trips, cooking, camping etc. great blade - well done CR.